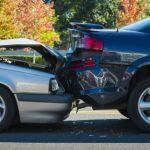 Being involved in a serious traffic accident can be traumatic, especially if someone is injured or killed as a result. Finding yourself facing criminal charges as a result can turn an already distressing situation into a far more difficult one as there are a number of harsh penalties which you may face if found guilty, including imprisonment and long term disqualification from driving. 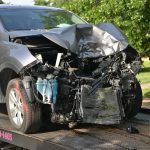 In the aftermath of a serious traffic accident, police often undertake a number of forensic investigations to try to find out what occurred and whether the accident was a result of negligent or dangerous driving on the part of one or more of the drivers. The accident investigation process can be time consuming, and often makes use of new technology to piece together exactly what happened before the police decide whether or not to press charges. Unfortunately this technology is not always infallible and it can sometimes be wrong, resulting in drivers being wrongly accused of traffic offences when it wasn’t their fault. Here are some of the different kinds of evidence that police use when they are examining a serious traffic crash. Who looks at the evidence in serious crashes? When a serious accident is reported, police are usually the first on the scene. They will undertake the preliminary investigations, and if warranted, they will pass the investigation part of the matter over to the Crash Investigations Unit. This unit is a team of professionals who evaluate and examine the evidence in serious crashes and try to piece together what has happened and whether an indictable offence has been committed. One of the most common forms of evidence that police will use are statements from witnesses and the drivers if possible. This can give them a general idea of what happened and whether factors like negligent, reckless or dangerous driving come into play. Unfortunately, witness statements can be conflicting and often inaccurate which is why police rely on other methods as well. After a serious traffic accident, forensic investigators will usually evaluate the scene, much as they do after a crime has been committed. They will take photographs and look at any evidence that can help them determine the course of events. This can include things like tyre marks on the road, damage to nearby property and the position and extent of damage done to the vehicles involved. This often helps them get an idea of what happened which can reinforce or contradict the eyewitness statements. This type of evidence is often relied on in cases where there are no witnesses or there are discrepancies in the witnesses’ accounts. “Most modern vehicles have airbags and seatbelt pretensioners, which are controlled by the vehicle’s airbag control module (ACM). The ACM’s job is to monitor the vehicle’s motion and deploy the airbags (if needed) to help protect the occupants. In the event of a crash and deployment or airbags and/or pretensioners, or even a non-deployment crash, the ACM may keep a record of the crash, which may include up to 5 seconds of pre-crash information. This information could include vehicle speed, gear position, engine RPM, seatbelt usage, brake usage, steering usage and change in speed as a result of the crash. Many experienced crash investigators (both police and civil), have the ability to download crash data straight from the vehicle at the scene of a crash, or later if necessary. If the vehicle is very badly damage, the ACM can be removed and downloaded separately. Once all the evidence has been obtained and the vehicles examined, many investigations then work on producing a computerised reconstruction of the events leading up to the accident. By taking into consideration the positioning of the vehicles, witness testimony and any other factors like weather conditions and adverse road surfaces, investigators can create a simulation of what they believe happened. Digital reconstructions of accidents are often presented in court as evidence, both by the prosecution and defence. By showing the course of events in a digital format it’s often easier for magistrates, judges and jurors to understand exactly what happened, but it can also be misleading and unfairly prejudicial if crash investigators get it wrong. It’s important to be aware that the forensic processes involved in investigating serious accidents, although advanced, aren’t infallible. 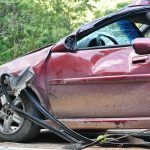 There are certain limitations when it comes to reconstructing serious accidents, especially if police haven’t provided accurate information to begin with. Most accident reconstructions use evidence obtained at the crash scene to make the necessary calculations. This evidence includes photographs and measurements, and if the right information isn’t gathered at the scene of the crash in a timely manner, it can lead to inaccuracies in the computerised simulations. Even a relatively small inaccuracy can lead to an incorrect assumption and affect the reliability of the evidence. In the event of a serious accident, priority is given to saving lives and making the area around the crash safe. This means that vehicles could be moved and other evidence could be tampered with or destroyed altogether, making an accurate reconstruction very difficult. If you’ve been involved in a serious crash it’s important to seek legal advice so that you can ensure you don’t become a victim of inaccurate investigation processes by police and prosecution experts. Computerised reconstructions of accidents may seem conclusive but this is definitely not always the case and sometimes investigators and police get it wrong, or inaccuracies are present which on closer examination show that a different scenario was possible. 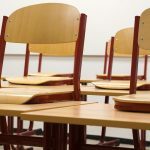 A specialist criminal lawyer will have access to a range of forensic experts, including accident reconstructionists, who may be able to discredit the prosecution evidence by giving an alternative explanation that is consistent with innocence. 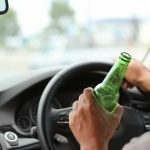 What Happens if You Are Declared a NSW Habitual Traffic Offender?